As part of an ongoing dialogue, Chancellor Kent Syverud recently announced that Syracuse University will revise three existing University policies governing speech and expression, consistent with recommendations from the Working Group on Free Speech. The impacted policies—including a new anti-harassment policy, a revised computing and electronic communication policy and a revised campus posting policy—are available for review and comment on the University’s policies website through Friday, Nov. 18. Once the comment period has closed, feedback will be reviewed and considered. The policies will then be vetted by the University’s Policy Advisory Committee as set forth in the University’s policy process. consolidate three existing campus posting policies to balance campus infrastructure and enhancements with the free exchange of ideas. The University policy process, born from Fast Forward Syracuse, provides for a centralized policy-making process at the University that is intended to improve clarity, consistency and transparency. The policy website has been updated to include a description of the new policy process, including a standard policy template for developing and submitting requests for new or revised policies. 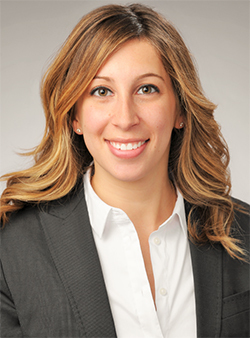 Abby Perer, associate general counsel for litigation and compliance, serves as the University’s policy administrator under the new policy process. Questions or feedback on existing University policies or how to develop a new policy can be directed to Perer at 315.443.8979 or supolicy@syr.edu.